Calcite Granules Exporting limited quantities to artificial marble and granite manufacturing industries. Calcite, make an inquiry about this product. Short on time? Let calcite sellers contact you. 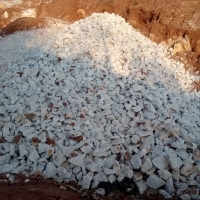 Granite Granules Exporting limited quantities to Artificial Marble and Granite manufacturing Industries. Potash Feldspar We are exporting limited quantities to Glass Industries, Artificial Marble and granite industries and ceramic industries. 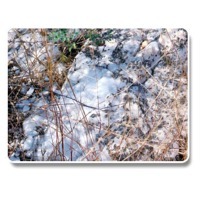 Calcite: Calcium carbonate, or CaCO3, comprises more than 4% of the earth’s crust and is found throughout the world. Its most common natural forms are chalk, limestone, and marble, produced by the sedimentation of the shells of small fossilized snails, shellfish, and coral over millions of years. Although all three forms are identical in chemical terms, they differ in many other respects, including purity, whiteness, thickness and homogeneity. Calcite (MAX) Technical and Physical Details Sr. No. Parameters : Percentage 1. Lol : 40-43 2. MgO : 2-4 3. Cao : 48-50 4. Sio2 : 3-5 5. Fe2o3 : Less Than 0.3 6. Al2o3 : Less Than 0.3 7. CaCo3 : 85-90 8. Whiteness : 92-97 9. Particle Size/Mesh Size : 200, 300, 400, 500, 20 Micron, 10 Micron 10. Appearance : Free Flowing White Powder Calcite AMX Technical and Physical Details Sr. No. Parameters : Percentage 1. Lol : 42-44 2. MgO : 1 - 3 3. Cao : 52-53.5 4. Sio2 : Less Than 2.0 5. Fe2o3 : Less Than 0.2 6. Al2o3 : Less Than 0.3 7. CaCo3 : Min.95 8. Whiteness : 92 - 97 9. Particle Size/Mesh Size : 200, 300, 400, 500, 20 Micron, 10 Micron 10. Appearance : Free Flowing White Powder Application : Paint, Plastic, Rubber, Ceramic, Agglomarated & Composite Marble. 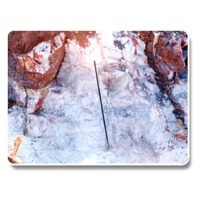 A very common and widespread mineral with highly variable forms and colours. 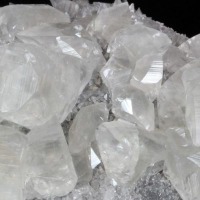 Calcite is best recognized by its relatively low and its high reactivity with even weak acids, such as vinegar, plus its prominent cleavage in most varieties. 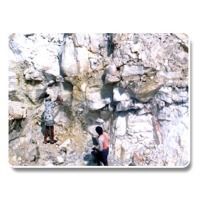 We are the leading mine owners of calcite. 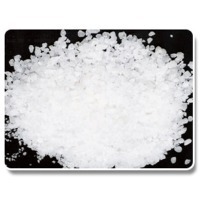 Our product has 98% caco3 & 0.36% silica. Calcite All purpose calcite is available at our place.Quality and quantity is no problem. Can provide in any weight specification. Sea Horse Seafoods Inc. Ltd.
We are producer of Calcite (in chips form) 2-4 cm. and 8-32 cm. in Turkey. Specs are available upon your request. Whiteness: 92.0-95.0 yellowness: 0,5 in average. Specially For paper and pvc production. We are looking for a long term contract to export.